Ozone Air Cleaners usually use an electric charge to convert oxygen molecules in air into very reactive Ozone gas molecules. Some air cleaners do this by design, but many others produce dangerous Ozone gas as an accidental by-product due to how they work. As you can see in the diagram below, Ozone gas CAN oxidize (or inactivate) some indoor air pollutants like bacteria or odors. But the same oxidizing power of ozone gas can also damage your tissues when the gas comes in contact with your respiratory system after being inhaled. I highly recommend avoiding any model of home air purifiers marketed as "OZONE PURIFIERS", "OZONE AIR CLEANERS", "OZONE MACHINES", "OZONE HOME AIR PURIFIERS", "NEGATIVE ION OZONE GENERATORS", "OZONATORS", or "OZONE GENERATORS". Only use those purifiers which are certified as being "Ozone free", which usually rules out most ionic or electrostatic types. Ozone Purifiers that are sold as air cleaners intentionally produce the gas ozone. Despite manufacturer claims, so called Ozone Air Purification does not remove particles from the air, including those that cause most allergies. In fact, inhaled ozone may even make asthma worse. Ozone is a molecule made of three atoms of oxygen. Two of these atoms form the basic oxygen molecule. 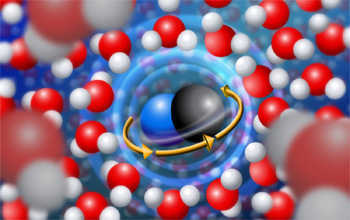 The third atom can detach from the ozone molecule and reattach to molecules of other substances, changing their chemical composition. This is the basis of manufacturer claims that ozone "purifies" the air. But inhaling ozone — even in small amounts — can be harmful to lung tissue. Inhaled ozone may cause throat irritation, coughing, chest pain and shortness of breath. Some negative ion ozone generators are made with an ion generator or "ionizer" in the same unit. You can also buy ionizers as separate units. Ionizers do take particles out of the air. Ions stick to particles, causing them to attach to nearby surfaces or to each other and settle out of the air. But ionizers don't work any better than high-efficiency particulate air (HEPA) filters or electrostatic filters in removing allergens from the air. Often the vendors of ozone purifiers or ozone air cleaners make statements and distribute material that lead the public to believe that these devices are always safe and effective in controlling indoor air pollution. For almost a century, health professionals have refuted these claims (Sawyer, et. al 1913; Salls, 1927; Boeniger, 1995; American Lung Association, 1997; Al-Ahmady, 1997). The purpose of this webpage is to provide accurate information regarding the use of ozone air purification devices in indoor occupied spaces. This information is based on the most credible scientific evidence currently available. Some vendors suggest that these devices have been approved by the federal government for use in occupied spaces. To the contrary, NO agency of the federal government has approved these devices for use in occupied spaces. Because of these claims, and because ozone can cause health problems at high concentrations, several federal government agencies have worked in consultation with the U.S. Environmental Protection Agency to provide the following information about Ozone Purifiers. Some Home Air Purifiers (called an Ozone Air Purifier or Cleaner) use an electrical charge to generate ozone. Although ozone (also referred to as trivalent oxygen or saturated oxygen) is a necessary part of the upper atmosphere (10-30 miles above us), in the part of the atmosphere we breathe, ozone is a potent lung irritant. It can have damaging health effects, especially for persons with asthma and other lung diseases, children and the elderly. It is produced directly by Ozone Purifiers and indirectly by ion generators and some other electronic Home Air Purifiers. The FDA has set a limit of 0.05 parts per million of ozone in indoor air. Ask whether any electronic Home Air Purifier you are considering buying has been tested for ozone production. The American Lung Association suggests that an ozone air purifier not be used. The same chemical properties that allow high concentrations of ozone to react with organic material outside the body give it the ability to react with similar organic material that makes up the body, and potentially cause harmful health consequences. When inhaled, ozone can damage the lungs. Relatively low amounts can cause chest pain, coughing, shortness of breath, and, throat irritation. Ozone may also worsen chronic respiratory diseases such as asthma and compromise the ability of the body to fight respiratory infections. Recovery from the harmful effects can occur following short-term exposure to low levels of ozone, but health effects may become more damaging and recovery less certain at higher levels or from longer exposures (US EPA, 1996a, 1996b). Manufacturers and vendors of ozone air purification devices often use misleading terms to describe ozone. Terms such as "energized oxygen" or "pure air" suggest that ozone is a healthy kind of oxygen. Ozone is a toxic gas with vastly different chemical and toxicological properties from oxygen. Several federal agencies have established health standards or recommendations to limit human exposure to ozone. These exposure limits are summarized in Table 1. 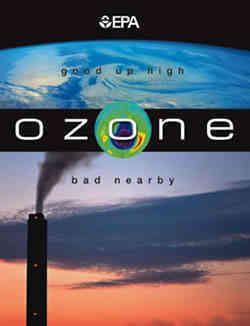 The phrase "goodup high - bad nearby"; has been used by the U.S. EnvironmentalProtection Agency (EPA) to make the distinction between ozone in the upper andlower atmosphere. Ozone in the upper atmosphere--referred to as"stratospheric ozone"--helps filter out damaging ultraviolet radiationfrom the sun. Though ozone in the stratosphere is protective, ozone in theatmosphere - which is the air we breathe - can be harmful to the respiratorysystem. Harmful levels of ozone can be produced by the interaction of sunlightwith certain chemicals emitted to the environment (e.g., automobile emissionsand chemical emissions of industrial plants). These harmful concentrations ofozone in the atmosphere are often accompanied by high concentrations of otherpollutants, including nitrogen dioxide, fine particles, and hydrocarbons. Whetherpure or mixed with other chemicals, ozone can be harmful to health. ARE Ozone Air Cleaners EFFECTIVE IN CONTROLLING INDOOR AIR POLLUTION? Available scientificevidence shows that at concentrations that do not exceed public healthstandards, ozone air purification has little potential to remove indoor air contaminants.Some manufacturers or vendors suggest thatozone air purification will render almost every chemical contaminant harmless by producing achemical reaction whose only by-products are carbon dioxide, oxygen and water.This is misleading. First, a review of scientific research shows that, for many of the chemicals commonly found in indoor environments, the reaction process with ozone may take months or years (Boeniger, 1995). For all practical purposes, ozone does not react at all with such chemicals. And contrary to specific claims by some vendors, Ozone Air Cleaners are not effective in removing carbon monoxide (Salls, 1927; Shaughnessy et al., 1994) or formaldehyde (Esswein and Boeniger, 1994). Third, ozone air purification does not remove particles (e.g., dust and pollen) from the air, including the particles that cause most allergies. However, some Ozone Air Cleaners are manufactured with an "ion generator" or "ionizer" in the same unit. An ionizer is a device that disperses negatively (and/or positively) charged ions into the air. These ions attach to particles in the air giving them a negative (or positive) charge so that the particles may attach to nearby surfaces such as walls or furniture, or attach to one another and settle out of the air. In recent experiments, ionizers were found to be less effective in removing particles of dust, tobacco smoke, pollen or fungal spores than either high efficiency particle filters or electrostatic precipitators. (Shaughnessy et al., 1994; Pierce, et al., 1996). However, it is apparent from other experiments that the effectiveness of particle Home Air Purifiers, including electrostatic precipitators, ion generators, or pleated filters varies widely (U.S. EPA, 1995). There is evidence to show that at concentrations that do not exceed public health standards, ozone air purification is not effective at removing many odor-causing chemicals. In an experiment designed to produce formaldehyde concentrations representative of an embalming studio, where formaldehyde is the main odor producer, ozone air purification showed no effect in reducing formaldehyde concentration (Esswein and Boeniger, 1994). Other experiments suggest that body odor may be masked by the smell of ozone but is not removed by ozone air purification (Witheridge and Yaglou, 1939). Ozone air purification is not considered useful for odor removal in building ventilation systems (ASHRAE, 1989). While there are few scientific studies to support the claim that ozone air purification effectively removes odors, it is plausible that some odorous chemicals will react with ozone. For example, in some experiments, ozone appeared to react readily with certain chemicals, including some chemicals that contribute to the smell of new carpet (Weschler, 1992b; Zhang and Lioy, 1994). Ozone is also believed to react with acrolein, one of the many odorous and irritating chemicals found in secondhand tobacco smoke (US EPA, 1995). If used at concentrations that do not exceed public health standards, ozone air purification applied to indoor air does not effectively remove viruses, bacteria, mold, or other biological pollutants. Even at high concentrations, ozone air purification may have no effect on biological contaminants embedded in porous material such as duct lining or ceiling tiles (Foarde et al, 1997). In other words, ozone produced by Ozone Air Cleaners may inhibit the growth of some biological agents while it is present, but it is unlikely to fully decontaminate the air unless concentrations are high enough to be a health concern if people are present. Even with high levels of ozone, contaminants embedded in porous material may not be affected at all. Results of some controlledstudies show that concentrations of ozone considerably higher than thesestandards are possible even when a user follows the manufacturer’s operatinginstructions.There are many brands and models of Ozone Air Cleaners on the market. They vary inthe amount of ozone they can produce. In many circumstances, the use of an ozone air cleanermay not result in ozone concentrations that exceed public healthstandards. But many factors affect the indoor concentration of ozone so thatunder some conditions ozone concentrations may exceed public health standards. In one study (Shaughnessy and Oatman, 1991), a large Ozone Air Purifier recommended by the manufacturer for spaces "up to 3,000 square feet," was placed in a 350 square foot room and run at a high setting. The ozone in the room quickly reached concentrations that were exceptionally high--0.50 to 0.80 ppm which is 5-10 times higher than public health limits. In an EPA study, several different devices were placed in a home environment, in various rooms, with doors alternately opened and closed, and with the central ventilation system fan alternately turned on and off. The results showed that some ozone purifiers, when run at a high setting with interior doors closed, would frequently produce concentrations of 0.20 - 0.30 ppm. A powerful unit set on high with the interior doors opened achieved values of 0.12 to 0.20 ppm in adjacent rooms. When units were not run on high, and interior doors were open, concentrations generally did not exceed public health standards (US EPA, 1995). None of the studies reported above involved the simultaneous use of more than one device. The simultaneous use of multiple devices increases the total ozone air cleaner output and therefore greatly increases the risk of excessive ozone exposure. WHY IS IT DIFFICULT TO CONTROL OZONE EXPOSURE WITH AN Ozone Air Purifier? 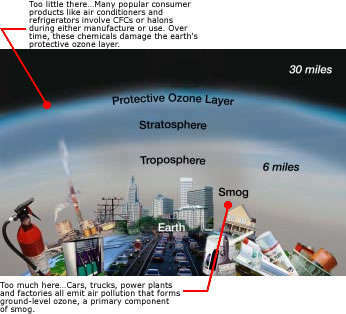 The actual concentration of ozone produced by an Ozone Air Purifier depends on many factors. Concentrations will be higher if a more powerful device or more than one device is used, if a device is placed in a small space rather than a large space, if interior doors are closed rather than open and, if the room has fewer rather than more materials and furnishings that adsorb or react with ozone and, provided that outdoor concentrations of ozone are low, if there is less rather than more outdoor air ventilation. The proximity of a person to the ozone air purification device can also affect one’s exposure. The concentration is highest at the point where the ozone exits from the ozone air purification device, and generally decreases as one moves further away. Ozone Air Cleaners typically provide a control setting by which the ozone output can be adjusted. The ozone output of these ozone air purification devices is usually not proportional to the control setting. That is, a setting at medium does not necessarily generate an ozone level that is halfway between the levels at low and high. The relationship between the control setting and the output varies considerably among ozone purifier devices, although most appear to elevate the ozone output much more than one would expect as the control setting is increased from low to high. In experiments to date, the high setting in some devices generated 10 times the level obtained at the medium setting (US EPA, 1995). Manufacturer’s instructions on some devices link the control setting to room size and thus indicate what setting is appropriate for different room sizes. However, room size is only one factor affecting ozone levels in the room. In addition to adjusting the control setting to the size of the room, users have sometimes been advised to lower the ozone air purification setting if they can smell the ozone. Unfortunately, the ability to detect ozone by smell varies considerably from person to person, and one’s ability to smell ozone rapidly deteriorates in the presence of ozone. While the smell of ozone may indicate that the concentration is too high, lack of odor does not guarantee that levels are safe. At least one manufacturer is offering units with an ozone purification sensor that turns the Ozone Air Purifier on and off with the intent of maintaining ozone air purification concentrations in the space below health standards. EPA is currently evaluating the effectiveness and reliability of these sensors, and plans to conduct further research to improve society’s understanding of ozone chemistry indoors. EPA will report its findings as the results of this research become available. CAN OZONE AIR PURIFICATION BE USED IN UNOCCUPIED SPACES? Ozone has been extensively used for water purification (ozonolysis), but ozone chemistry in water is not the same as ozone chemistry in air. High concentrations of ozone in air, when people are not present, are sometimes used to help decontaminate an unoccupied space from certain chemical or biological contaminants or odors (e.g., fire restoration). However, little is known about the chemical by-products left behind by these processes (Dunston and Spivak, 1997). While high concentrations of ozone in air may sometimes be appropriate in these circumstances, conditions should be sufficiently controlled to insure that no person or pet becomes exposed. Ozone can adversely affect indoor plants, and damage materials such as rubber, electrical wire coatings, and fabrics and art work containing susceptible dyes and pigments (U.S. EPA, 1996a). Of the three, the first approach--source control-- is the most effective. This involves minimizing the use of products and materials that cause indoor pollution, employing good hygiene practices to minimize biological contaminants (including the control of humidity and moisture, and occasional cleaning and disinfection of wet or moist surfaces), and using good housekeeping practices to control particles. The second approach--outdoor air ventilation--is also effective and commonly employed. Ventilation methods include installing an exhaust fan close to the source of contaminants, increasing outdoor air flows in mechanical ventilation systems, and opening windows, especially when pollutant sources are in use. The third approach-- air cleaning--is not generally regarded as sufficient in itself, but is sometimes used to supplement source control and ventilation. Air filters, electronic particle Home Air Purifiers and ionizers are often used to remove airborne particles, and gas adsorbing material is sometimes used to remove gaseous contaminants when source control and ventilation are inadequate. Some studies show that ozone concentrations produced by Ozone Air Cleaners can exceed health standards even when one follows manufacturer’s instructions. Many factors affect ozone concentrations including the amount of ozone produced by the machine(s), the size of the indoor space, the amount of material in the room with which ozone reacts, the outdoor ozone concentration, and the amount of ventilation. These factors make it difficult to control the ozone concentration in all circumstances. Available scientific evidence shows that, at concentrations that do not exceed public health standards, ozone air purifiers are generally ineffective in controlling indoor air pollution. The concentration of ozone would have to greatly exceed health standards to be effective in removing most indoor air contaminants. In the process of reacting with chemicals indoors, ozone air purification can produce other chemicals that themselves can be irritating and corrosive. Some devices that are advertised as “air purifiers” or portable air cleaners purposely emit large amounts of ozone, the main component of smog! Not only are such ozone generators and portable ozone air cleaners ineffective at cleaning indoor air, but breathing ozone poses serious health risks. The Air Resources Board recommends that ozone generators not be used. The following is a partial list of portable ozone generators that are sold as air purifiers, primarily for residential use. Ozone generators intended for commercial use, and in-duct systems or other non-portable devices, are not listed here but may generate potentially harmful levels of ozone. Remember, ozone air cleaners may be hazardous to your health! You can always tell the fly-by-night junk peddlers from the best-of-breed purifier manufacturers because the upstanding companies know that being Ozone-free is actually a major selling point to those health conscious people who are in the know (like you are now, hopefull). So the very best air cleaners are often certified as being Ozone free. The opposite is true for the many "activated oxygen" junk peddlers.